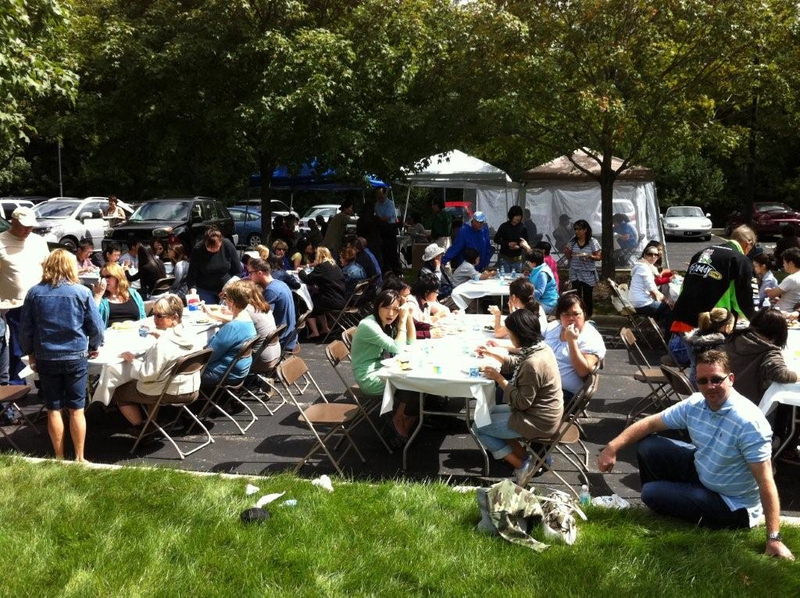 Every year on Labor Day for the last decade, the Chicago Temple of Shinnyo-en has been hosting a large family picnic on the grounds of the temple in Elk Grove, IL. It is one of the largest social gatherings that the Chicago Temple hosts for over 200 members and non-members of Shinnyo-en. 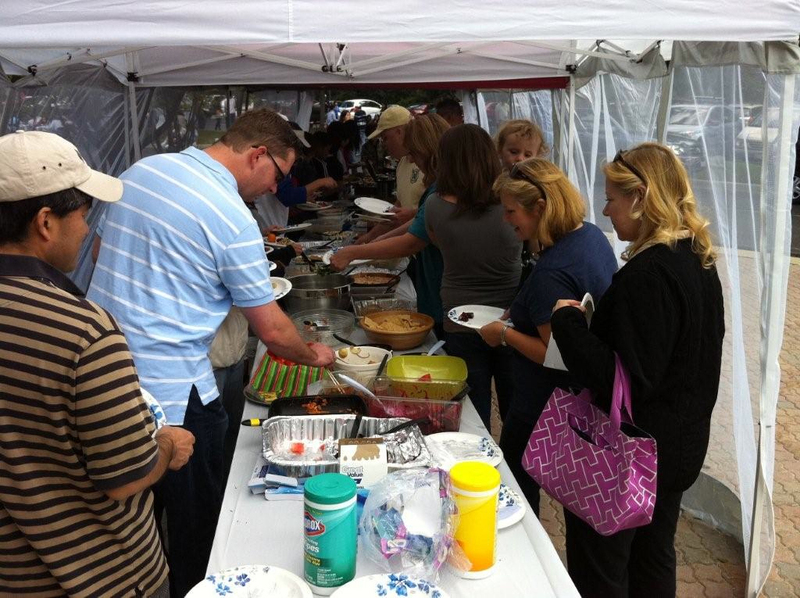 As in the past, this year’s picnic on September 3rd was flawlessly organized and executed in the eyes of guests. From the “Gohoshi (volunteering)” ushering the visitors’ cars in the parking area, to grilling burgers and hot dogs in the late summer heat, or setting up a volleyball net on the lawn to accepting the deliciously prepared pot-luck dishes in the Harmony Room, it was apparent that a few dozen volunteers were well experienced in doing these tasks. 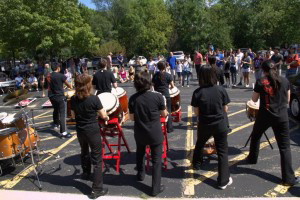 The programs and activities in the afternoon included the Shinnyo Taiko drumming led by Rev. 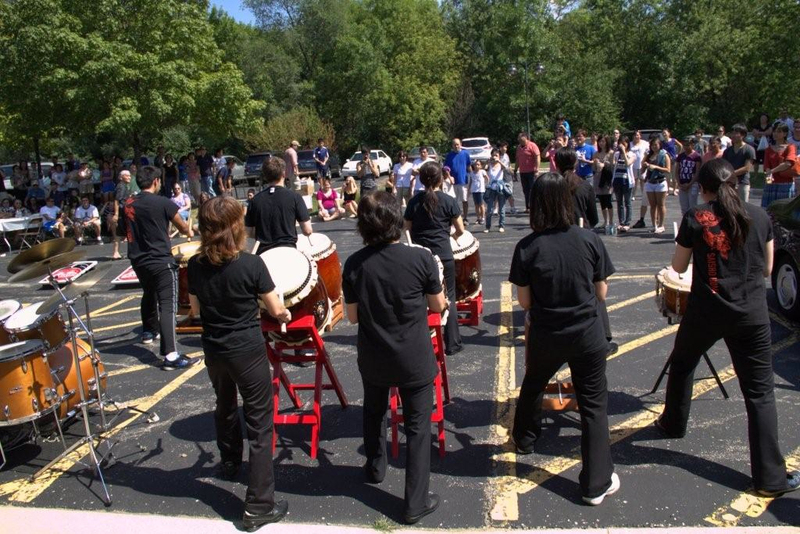 Ishizaka playing a drum set, volleyball competitions for youth and Piñata hitting for children. 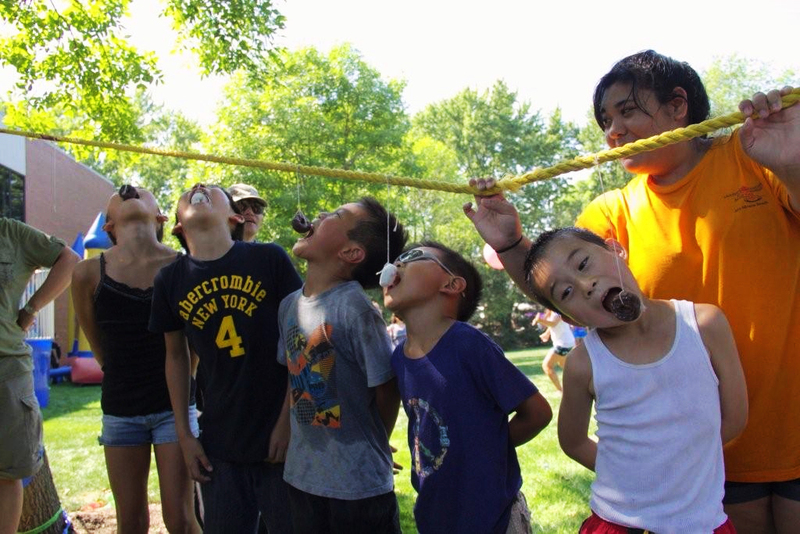 Among those activities, what kept many of the guests’ attention until the end of the picnic was the Dunk Tank. The guests formed a long line to take this opportunity to dunk their siblings, friends and even Rev. Ishizaka in large tank full of cold water by aiming at a round metal bar with three cushy balls. Immediately after a ball hit the bar, the person sitting high above the water tank was dunked with big splashes of water, much to everyone’s delight. Inside the temple, a few volunteers gave a tour of the Main Worship Hall to the first-time visitors. On the screens, a few DVDs were shown to introduce some of the major services and practices of Shinnyo-en, such as the Saisho Homa in Los Angeles in 2007, the Interfaith Service at St. Peter’s Cathedral in New York in 2008, and the Lantern Floating in Hawaii in 2011. Viewing the solemnly officiated services by Her Holiness Shinso Ito shown in the serene Main Worship Hall made a distinct contrast with the outside heat and excitement. 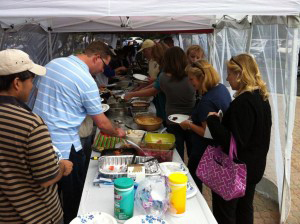 What stood out the most about this picnic was the intergenerational aspect of the event. 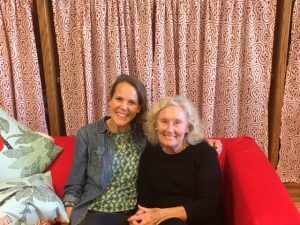 Many grandparents came with their grandchildren and shared this special community luncheon at the temple, having something for everyone to eat and do. 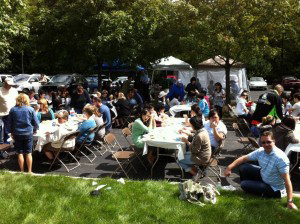 The tradition lives long and strong at the Chicago Temple’s Labor Day BBQ Picnic Day!